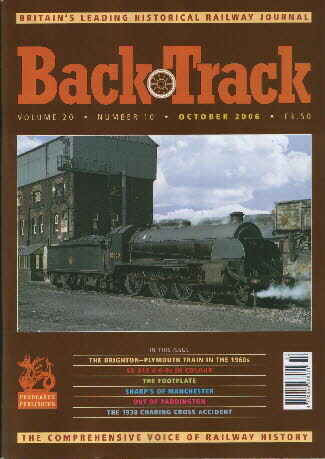 Railway Magazine | BackTrack Oct 2006 journal from Pendragon Publishing. The Station Master's Daughter - Carolyn Martin recalls her childhood living at Aylsham South station, Norfolk. Westinghouse motorised signals at Newton Abbot - two colour photos of unusual GWR power -worked semaphore signals.